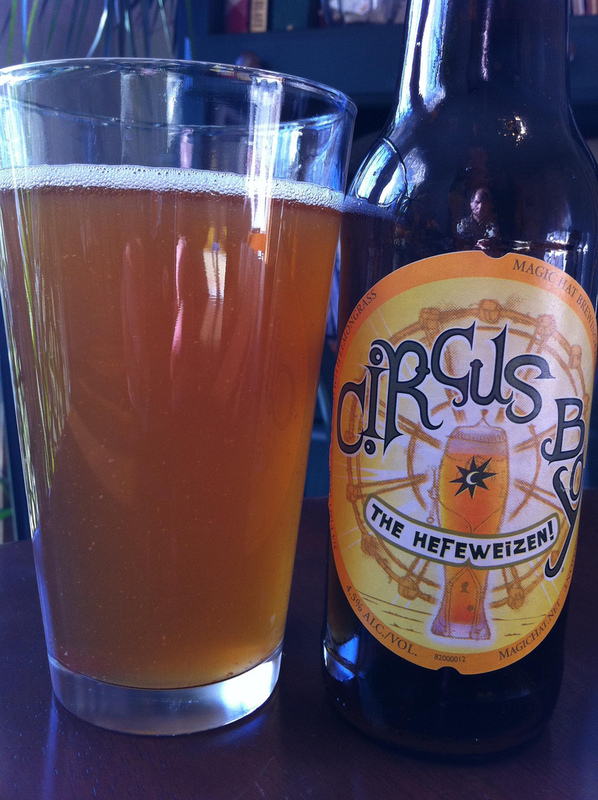 Magic Hat Brewing’s Circus Boy is an unfiltered hefeweizen. It pours up cloudy as expected with a deep golden straw color. The aroma is minimal, but the typical hefeweizen aromas are present just toned down a great deal. The tastes starts with a light sweetness that fades to a mild Hefeweizen taste profile. I enjoyed this as a mellow version of a Hefeweizen. But, it would not be the first Hefeweizen to grab. This entry was posted in Brews and tagged Magic Hat by Brian Allen. Bookmark the permalink.